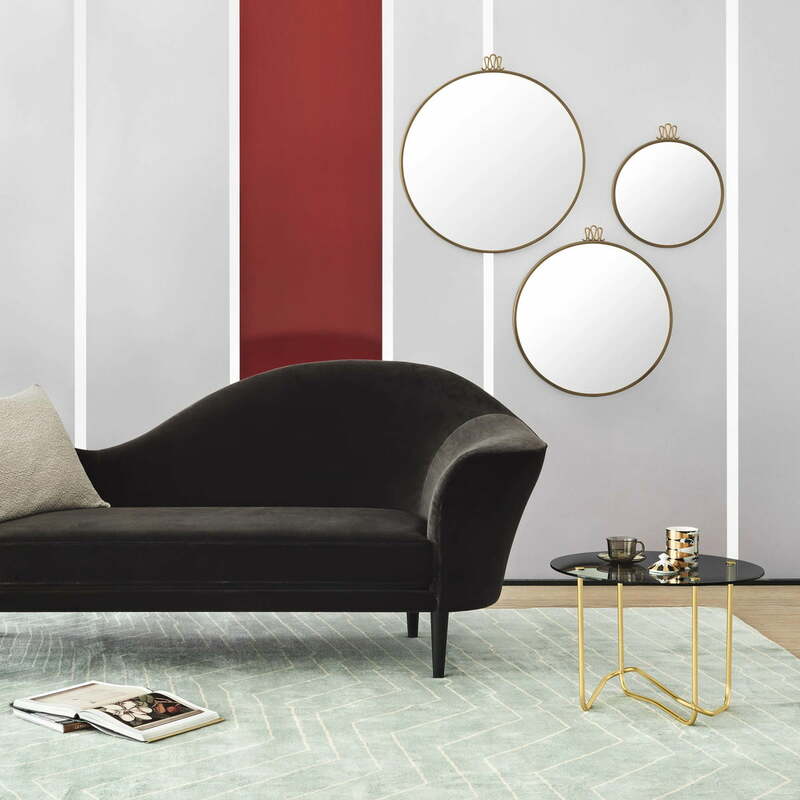 Inspired by the musical instrument, the Grand Piano Sofa by Gubi dates back to 1984 and is characterised by its musical shape and sculptural silhouette. The design language reflects Gubi Olsen’s passion for music. The result is a sofa where function follows form and is reminiscent of the Rococo lounge chairs. The timeless sofa has two armrests that encourage eye contact and private conversations. The frame of the sofa consists of black stained beech or varnished oak. The upholstery is available in many different fabrics, leathers and colours. In addition, you can select on which side (left or right) the high arch of the sofa should be located. Due to its appearance inspired by Art Deco, the sofa fits perfectly into many different room situations and becomes the centerpiece in every room. 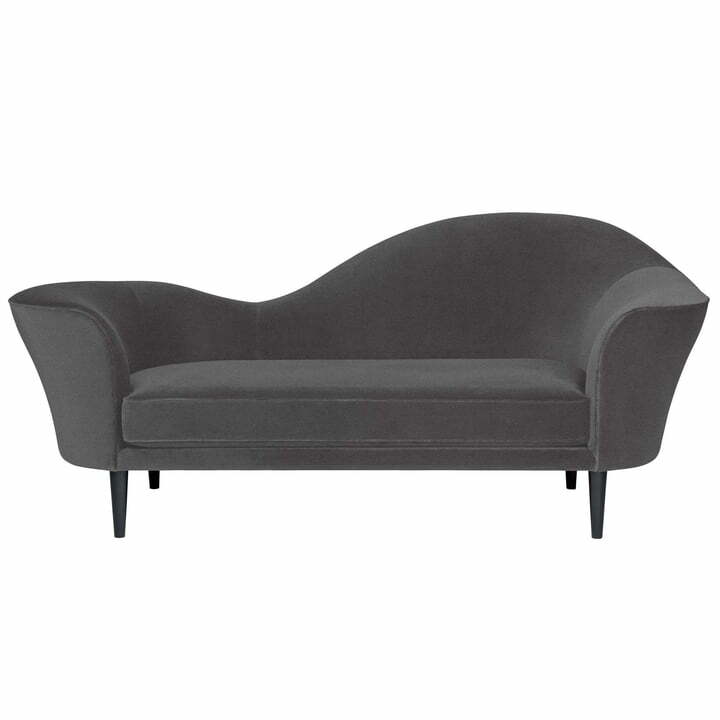 Isolated product image of the Grand Piano Sofa by Gubi Olsen for Gubi with a Tonus 128 fabric cover and a base in black stained beech. The high arch is on the right side. Lifestyle product image of the Matégot coffee table next to the Grand Piano sofa by Gubi. The sofa by Gubi Olsen and the side table by Mathieu Matégot create a harmonious ensemble.